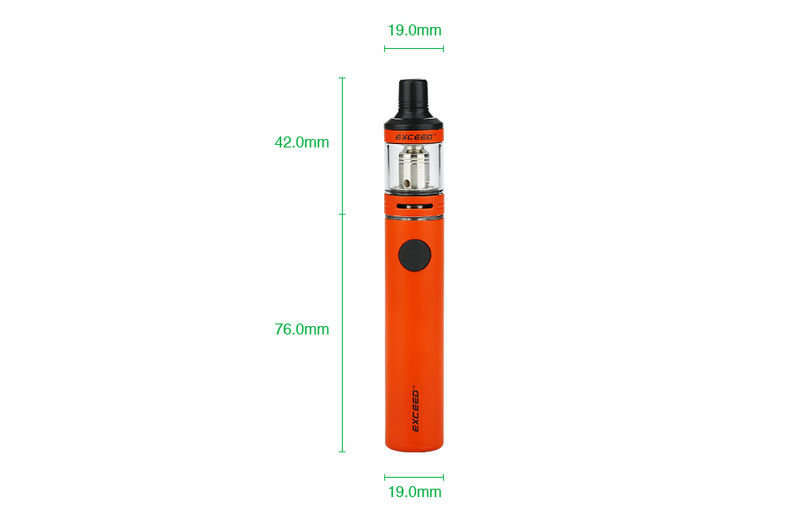 The Joyetech Exceed D19 is a portable battery with direct output mode and constant voltage output mode. It also has a top LED indicator to show the vaping mode and remaining battery. You can enjoy a safer vaping with various protections. 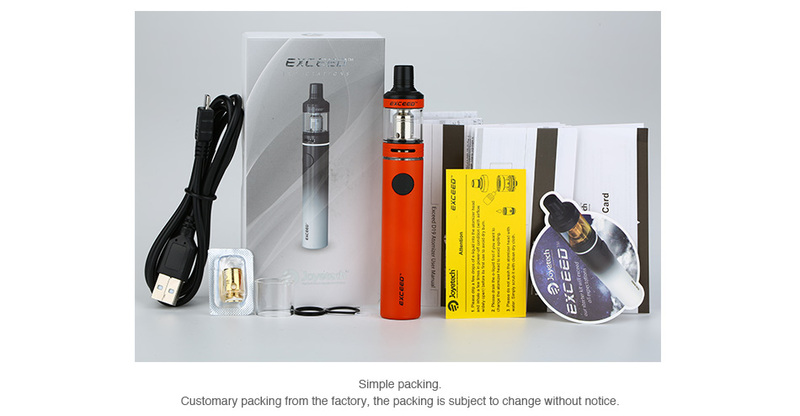 The 2ml Exceed D19 tank adopts an easy top filling design and adjustable bottom airflow. New EX series heads with large e-liquid holes will provide great vaping tastes. 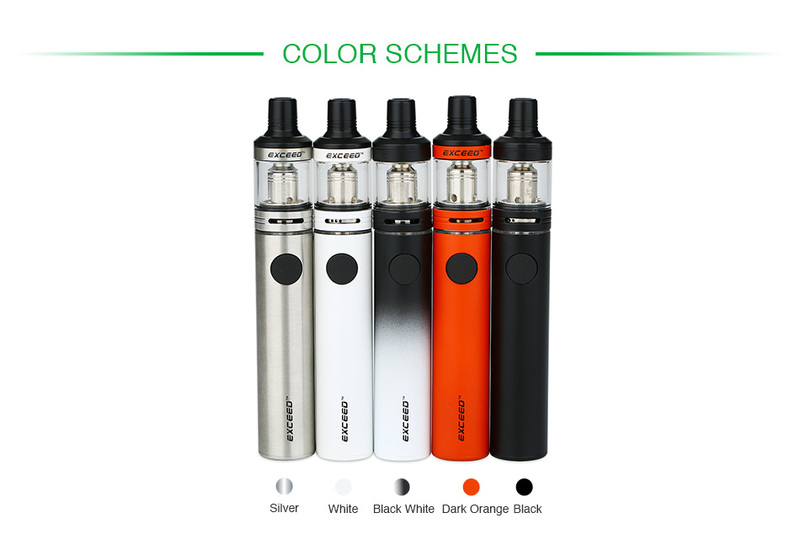 5 colors for your selection.